There are, however, some skeptics. The Veteran Intelligence Professionals for Sanity, a group of former U.S. intelligence officials who once discredited Colin Powell’s claim at the UN that Saddam had WMDs, has now issued a widely-ignored document dubbed VIPS50, insisting that no one hacked the Democratic Party’s emails in 2016 but they were instead leaks, perhaps aimed at defeating Bernie Sanders. Someday historians, declassified documents, and personal testimonies will presumably tell us accurately and truthfully if the authoritarian Putin did indeed lead Russians to hack The Donald and defeat Hawkish Hillary, 0r maybe it was Jill Stein and her handful of Greens? 0r Rand Paul and his fading libertarians? 0r, just an un-American invention organized by our sainted Founding Fathers, which they called the Electoral College? Still, we should ask if there are honest and independent observers still available to sort out the truth or has everyone already chosen sides? “We have been attacked. We are at war,” charged the actor Morgan Freeman for the Russophobian and hawkish Committee to Investigate Russia, whose Advisory Board includes Rob Reiner, Max Boot, James Clapper, Michael Hayden, Michael Morell and Leon Panetta. Meanwhile, John McCain, who is now revered since his death, denounced Rand Paul on the Senate floor, claiming the Kentucky senator “is now working for Vladimir Putin.” In other words, is there a traitor in the Senate? And maybe another in the White House? The first time I wondered about the official party line was on January 3, 2017, when Senator Charles Schumer announced on Rachel Maddow’s TV show that Trump was “being really dumb” for scrapping with anonymous and accusatory intelligence officials — the total number of analysts soon officially reduced to three specially selected unidentified employees — about Russia’s cyber break-ins. What could the Senator have meant? Whatever he intended to say went largely unexplored by journalists out to get Trump and win some Pulitzers. Schumer’s comments quickly vanished from public sight, never to be heard or seen again. Where is all this supposed to lead? A new Red Scare against dissidents? An end to civilization war with nuclear-armed Russia? If Russiagate is not another Iraq-has-WMDs lie, then Americans need to be reminded again and again that not too long ago 58,000 American soldiers were played for suckers by right and left during Vietnam while only 14 members of our hyper-patriotic Congress had kids in Vietnam, none of whom were shipped home in a body bag. 7,000 have since died in the Iraq and Afghan wars and countless others scarred forever. Unlike many of us who served in the military, four recent presidents and two vice-presidents have evaded active military duty and no American VIP has ever been held responsible for the misery they’ve caused. “I hate every Memorial Day,” Philip D. Beidler wrote memorably and painfully in his stirring book American Wars American Peace. Beidler survived combat as an armored cavalry platoon leader and now teaches English at the University of Alabama. In addition to recent indictments, tons of headlines and Cable’s “Breaking News,” what we have also produced is a massive campaign to convince Americans that Russia’s “meddling” in our elections (our mass media rarely notes that the U.S. has always “meddled” in other countries, e.g., Italy, Iran, Iraq, Guatemala, Nicaragua, Mexico, Canada, et.al.) requires ever greater Pentagon budget increases and continued readiness for future wars. 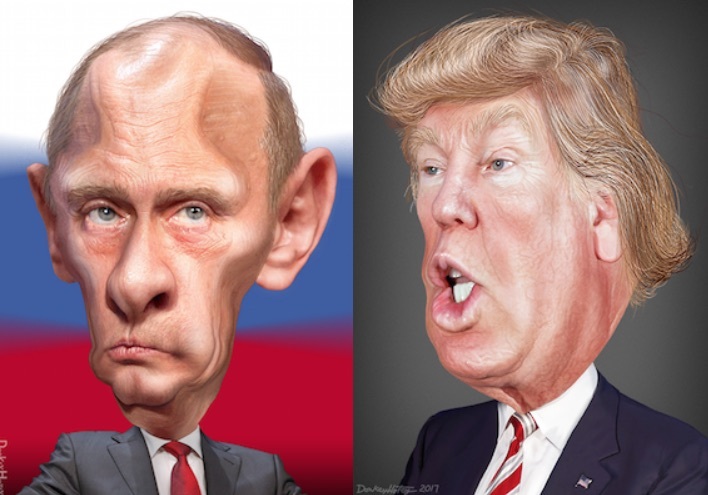 And my final point about Russiagate: It’ as far as we dare go in the nuclear age of Donald Trump, American hawks, and Vladimir Putin and his gang. This entry was posted in RagBlog and tagged 2016 Elections, Murray Polner, Rag Bloggers, Russiagate. Bookmark the permalink. Glad that you’re at least skeptical. Folks who support the DNC and ‘intelligence community’ take on Russiagate seem to have missed the main points of Eisenhower’s warning about the Military-Industrial Complex, the anti-war movement (Cointelpro), and the Church Committee (1975). The VIPS guys were in up to their eyeballs but hung onto their intellectual integrity, however naive they may have been in practice. Trust them more than the recent CIA and FBI retirees.